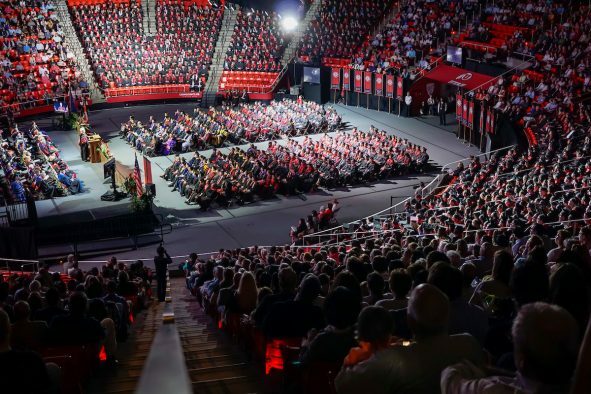 University of Utah student Christina Andino will be among only 0.03 percent of foster youths who graduate from college when she receives a bachelor’s degree this year. 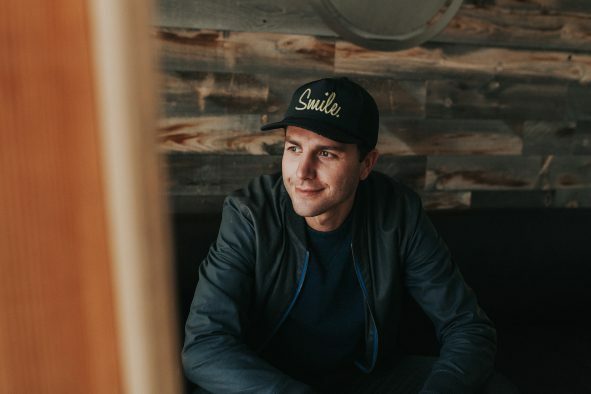 After transferring to the U in 2015 from Salt Lake Community College, Andino is graduating with a Bachelor of Social Work and no student loan debt. 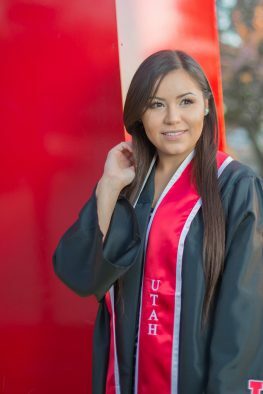 While Andino is one of a handful of students from similar backgrounds who graduate from college, she is among 8,566 U students who will celebrate their achievements at the university’s 148th commencement exercise Thursday, May 4, 2017, at 6:30 p.m. in the Jon M. Huntsman Center. Christina Andino is among 8,566 University of Utah students who will graduate this year. Andino won’t have much time to celebrate before starting the Master of Social Work program two weeks following graduation. Getting to this point hasn’t been easy, she said, because she didn’t have the parental support that many college students experience, but Andino was determined to work hard to better her future. Andino applied for a variety of scholarships and completed the Free Application for Federal Student Aid, or FAFSA, to receive financial aid in order to make higher education a possibility. She also works 30 hours per week for Salt Lake City School District to pay bills for the apartment she shares with her sister. Her goal now is to complete graduate school with no debt as well. The U continues to lead the state for students who graduate with the lowest percentage of loan debt. At the U, Andino met regularly with academic advisers, became involved in the Bachelor of Social Work student association, participated in a practicum experience at University Neighborhood Partners and did a summer internship that took her across the country to speak with educators and colleges about how her past shaped her experience as a college student. Andino plans to work with foster youth and others from marginalized communities through offering educational programs in schools, and she is interested in becoming a school administrator. Her adviser, Jason Atherton, has enjoyed working with Andino, encouraging her to push her boundaries and seeing her grow professionally. 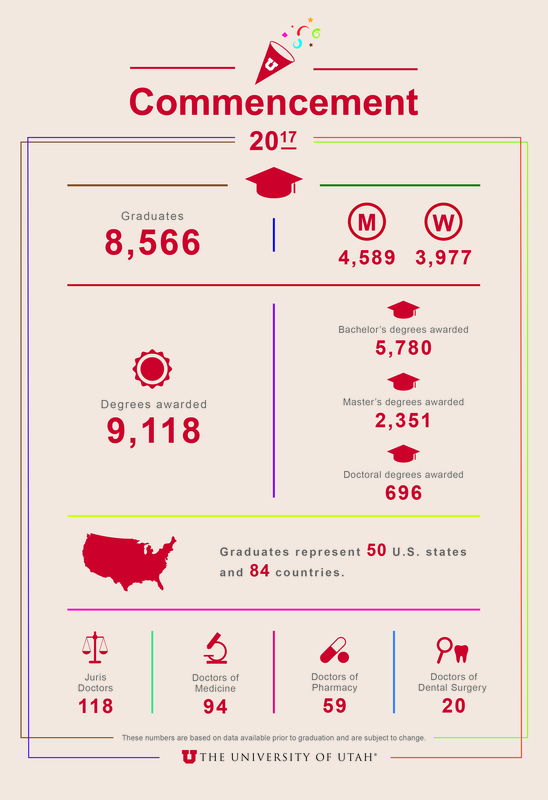 General commencement is a campus-wide celebration open to all students, their families and the public. It is an opportunity for the institution to celebrate the graduating class and recognize student achievements. The evening’s program is designed with the graduates in mind and includes videos and multimedia, a collage of Instagram photos documenting the U experience of the Class of 2017, as well as traditional elements of “pomp and circumstance” associated with graduation events. 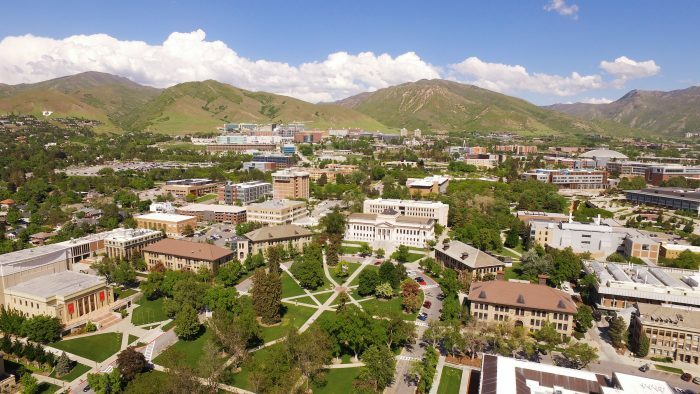 The first cohort of students from the University of Utah Asia Campus will graduate this year. The UAC, located in Incheon, South Korea, opened its doors in 2014 to students looking for a global and culturally diverse education. The first cohort of students from the U’s new School of Dentistry will also graduate. 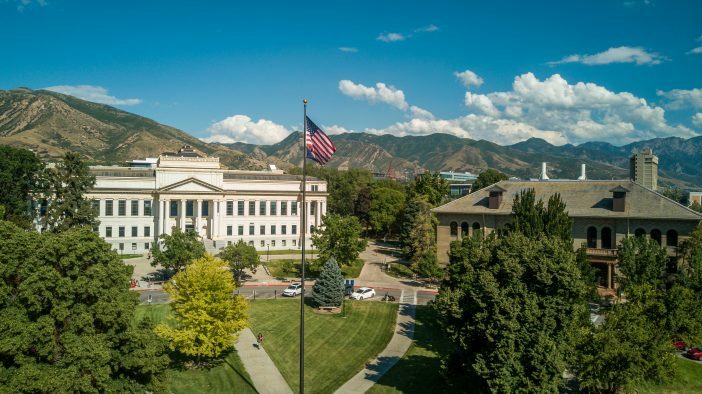 It was the first new school at the U in more than 50 years, and its inaugural class had the second-highest GPA for incoming dental students in the U.S. All 20 students have passed their dental board exams and scored in the top 15 percent nationally. Honorary degrees will be presented to Conrad Anker and Gail Miller. The Rosenblatt Prize for Excellence, a $40,000 cash award and the most prestigious honor the university bestows on its faculty, will be announced in a separate press release the morning of May 4. Special awards will be given to 11 faculty members. 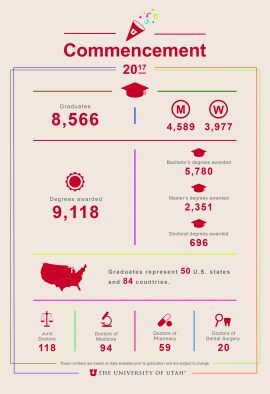 Each college holds a convocation ceremony, where candidates for graduation are acknowledged individually and where college-specific awards are presented. College convocations are schedules can be found here. Campus parking lots may be used at no charge during commencement and convocation ceremonies. As campus parking is limited, visitors are encouraged to use the free U shuttle service to travel between commencement events. Shuttles run throughout campus and are scheduled every 10-15 minutes. The U campus is also a TRAX free fare zone on May 4 and 5. Those unable to attend commencement will be able to watch the live stream on the university’s website, utah.edu, or watch the rebroadcast on KUED, channel 7, Saturday, May 6, at 5:30 p.m. MDT.